April has been a mixed bag when it comes to being frugal. Online earnings have been at an all time low meaning it was more important than ever to make savings where we could. Even with this in mind I’ve found it hard to stay on track. In the grand scheme of things one ‘off’ month is totally acceptable. I’m determined to get back on track in May. There are birthdays to celebrate and holiday planning to finish. This weekend I will spend some time going over our budget and planning some ways to bring in extra income. 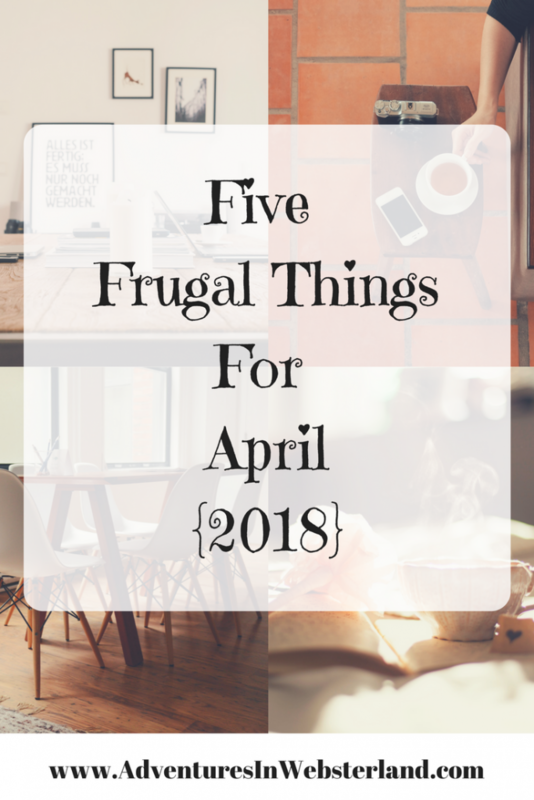 Here are my five frugal things for April. A lovely friend gave us a big bag of clothes for Daisy and Jake that her kids had outgrown. There were some pyjamas in the bag which was one of the things on my list of things they needed. There were also some dressing up costumes inside much to Daisy’s delight. I’m so grateful for her generosity, kids grow out of clothes so quickly so this saves us a ton of money. 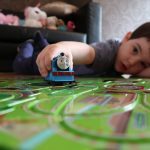 I wrote 5 Money Saving Tips For Buying Childrens Clothing, give it a read if you are looking to save some money in this area too. 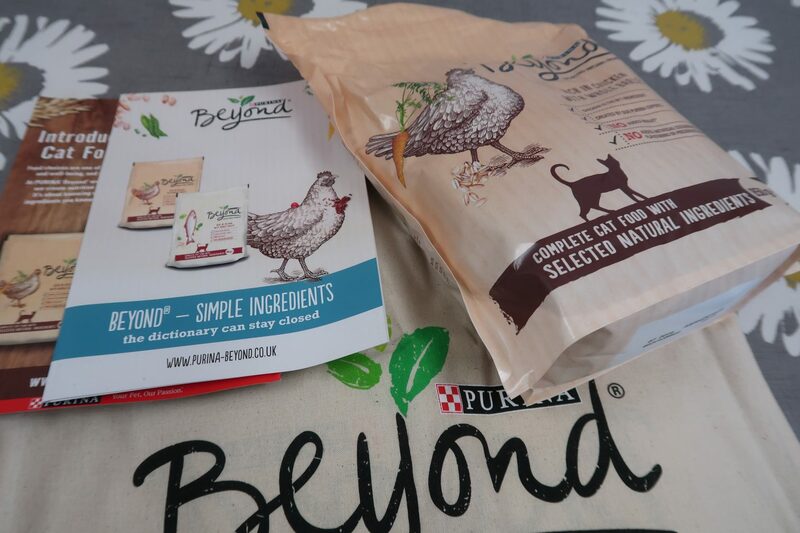 I got a big bag of Purina Beyond cat food for free from The Insiders for our cat Mo. The cat food also came with some coupons and a very handy tote bag too. The Insiders send you products to try at home for in exchange for your review or opinions. Most of the campaigns are for free products but there are the odd technology or appliance trials where you receive the product at a heavily discounted rate. We previously did a Betty Crocker campaign with them which the kids absolutely loved. We had almost a week of wall to wall sunshine in April so I took full advantage of the washing line. I hung a load of washing out each day saving us money on the costs of running the tumble dryer. Daisy has also transitioned into her school summer dresses meaning less uniform washing too which is a bonus. I have some other ideas of how you can cut your laundry costs in this post here. In an effort to improve my health and wellbeing I’ve been increasing my fruit and vegetable intake. To keep costs as low as possible I’ve been buying the weekly super six offers from Aldi and picking up reduced produce in the evenings from the supermarkets. I’m loving strawberries at the moment and have found lots heavily reduced in price. Despite the lovely week of weather we had it’s still been pretty nippy in the evenings. Instead of turning the heating back on we’ve wrapped up in fleece blankets and delayed packing away our jumpers. Our house can get quite cold but I think we must be used to it because we very rarely feel it beyond the Winter. 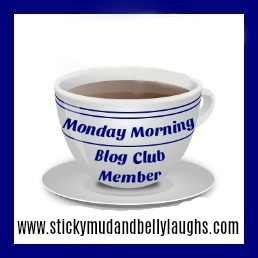 If you liked this post then why not have a look at my Five Frugal Things For March post.